On Wednesday, November 7th, the Department of Civil & Mineral Engineering co-hosted a one-day stakeholder workshop on “Steering Low-Carbon Growth and Sustainable Energy Use in Dar es Salaam” in partnership with the International Growth Centre (IGC) and Ardhi University. 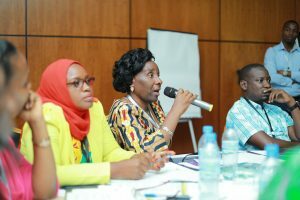 The workshop, whose preparations were led by Chibulu Luo (PhD Candidate, CivE), was held at the Bank of Tanzania Conference Centre in Dar es Salaam (Tanzania’s largest city and economic hub). 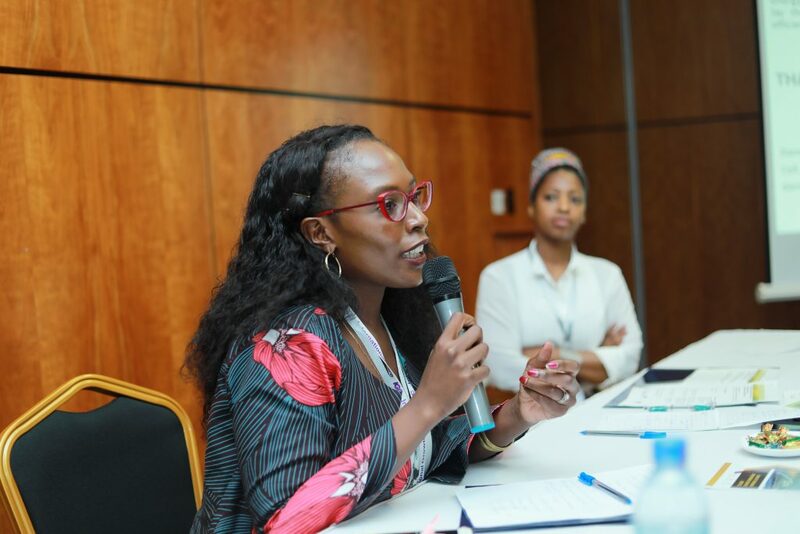 “The workshop provided a unique opportunity for all participants to engage in an interactive dialogue and identify opportunities for low-carbon investments in Dar es Salaam’s key infrastructure sectors such as electricity production, transportation and housing,” says Luo. Outputs from the event will inform Chibulu’s thesis work which examines patterns of residential energy use and greenhouse gas emissions in the fast-growing city. Watch to learn more about Chibulu Luo’s project. 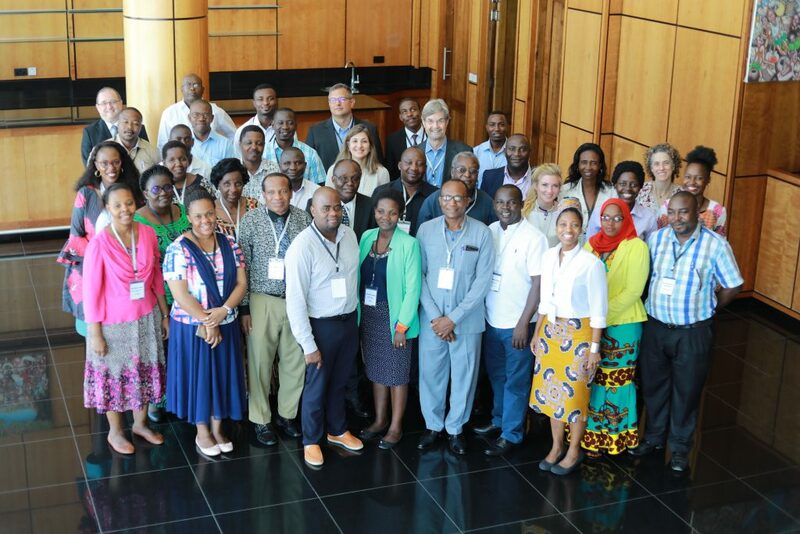 In attendance was a diverse group of stakeholders from government, academic and private institutions, including the Dar es Salaam City Council, the Dar es Salaam Bus Rapid Transit (DART) Agency, and TANESCO (Tanzania’s main electricity supply company). Opening remarks were also provided by Dr. Mukuki Hante, Director of Rural and Urban Development, President’s Office, Government of Tanzania; Damien Valente, Chief Executive Officer of Africa Power Technology; and Dr. Makarius Mdemu, Director of the Institute of Human Settlements Studies, Ardhi University). Dr. Alex Kyaruzi, Board Chairman of TANESCO, delivered the closing keynote. Dr. Gilbert Siame, University of Zambia; Dr. Murray Metcalfe, Professor of Globalization and Director of the Engineering Education for Sustainable Cities in Africa (EESC-A) Project at U of T; and Dr. Nadine Ibrahim, Post-Doctoral Fellow (CivMin), joined Luo in a closing panel discussion and reflection of the day’s activities. As a 2018/2019 recipient of the Institute on Municipal Finance and Governance (IMFG) Graduate Fellowship, Luo aims to share policy insights from both the workshop and other key informant interviews in a future works in collaboration with her thesis advisor, Professor Heather MacLean (CivMin). Watch video summary of the workshop﻿ Watch for a summary of the workshop.